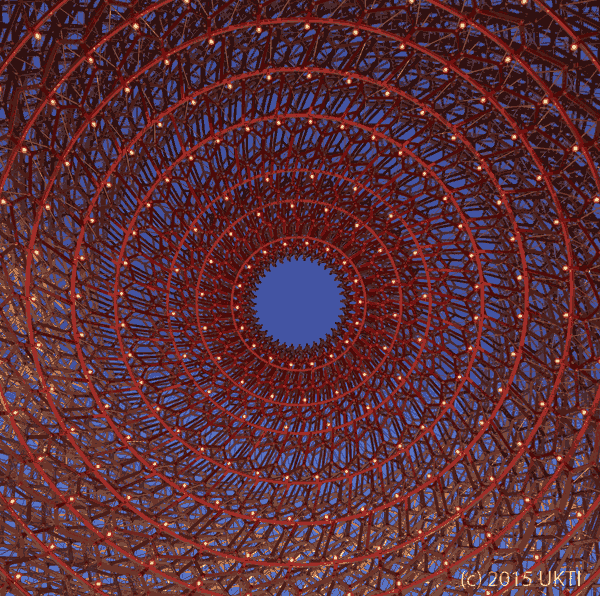 Award winning public artist Wolfgang Buttress designed this amazing honeycomb structure called “The Hive” as part of his overall UK Pavilion design for the 2015 Milan Expo, whose theme was “feeding the planet, energy for life.” His creation won the FX Design Award for ‘Best Lighting’ and the BIE Gold Award for Architecture and Landscape. Visitors first pass through an orchard and a meadow inspired by the British countryside before arriving at the “hive”, an ethereal structure of honeycomb-like aluminum latticework. 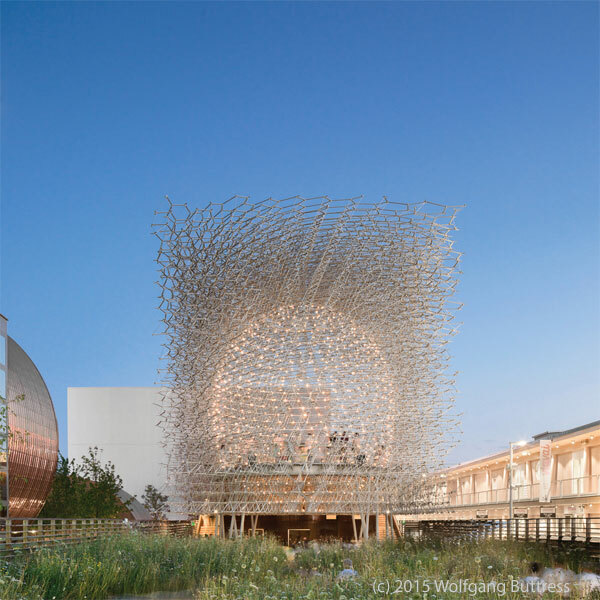 Inside, a multi­sensory experience takes hold, with a musical soundtrack that incorporates bee noises and an ever-changing display of LED lights linked to the real-time activity of hives in Nottingham, England. And good news! 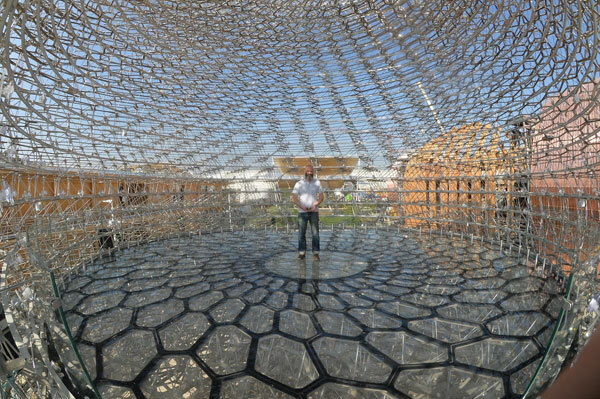 The Hive comes home to Kew Gardens this summer. Wolfgang’s structure inspires us to create a piece of art for the public to see and experience. It could be something as simple as a couple of stick figures drawn on a piece of paper posted in a public area or taking a bunch of sticks in the yard and tying them together in some unique or interesting way. Whatever it is, do it for the joy of it!